One of the best things you can do for yourself before you arrive in China is to learn some Chinese. Those who live in China but are too lazy or busy to learn Chinese, end up regretting it. Why? Because life in China is not easy if you don’t speak the language and you’re limiting the number of opportunities you’ll have. When researching where to study Mandarin, you’ll have to take a look at how much time you have. If you have enough time to be a full-time student, you can apply to pretty much any university in China. Many of them offer Mandarin classes for foreigners. In Beijing, Peking University, Tsinghua University and BLCU all offer Chinese classes. However, if you already have a job, perhaps teaching English with Top Notch ESL, you’ll need more flexible hours and will want to learn Chinese online or with a private language school. In addition to language classes, most private language schools offer a variety of useful services such as housing assistance or job opportunities and anything else you might need help with such as airport pickup or help buying a Chinese cell phone. You can take classes whenever you like and most classes sizes are small, if not one-on-one. Hutong School was founded in 2005 in Beijing and most of their students have come to China for an internship. 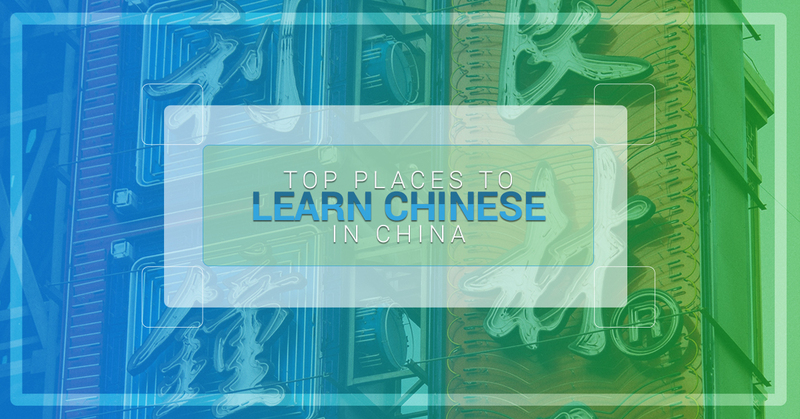 By taking classes before or after work, their students are able to not only learn the basics of Chinese, but then also hear and speak the language during the day at work. That’s Mandarin was founded in Beijing in 2005 and offers a unique way of learning Mandarin via their Mandarin Café. They’ve had over 3000 students use their services and also offer a summer camp for kids. Live the Language (LTL) was founded in 2008 and offers homestays, family programs, internships, summer camp and opportunities for those in high school to learn Mandarin in China. They also offer the chance to study outside of the big cities in Chengde, which is a small rural city near Beijing.